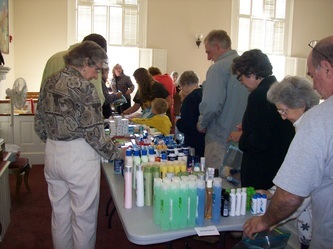 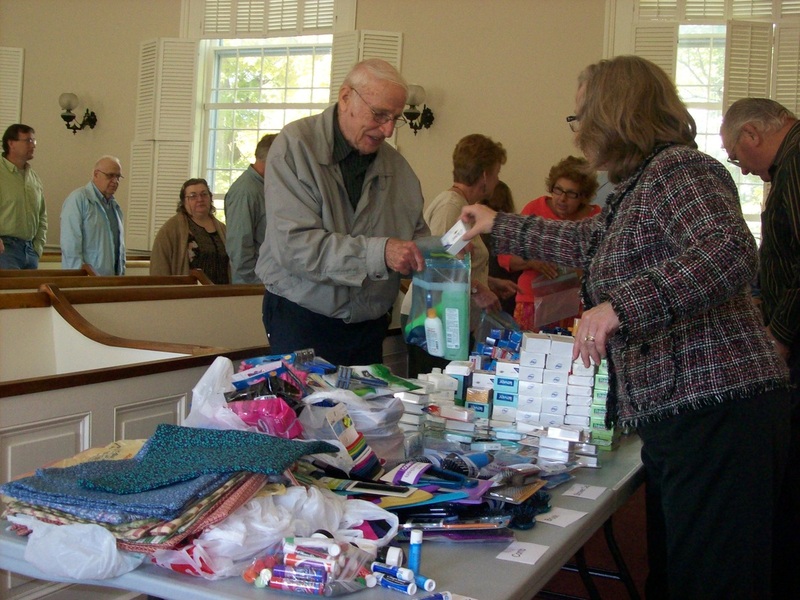 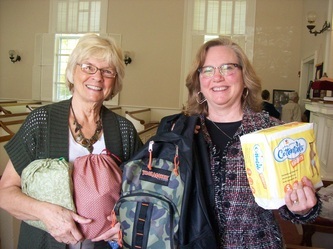 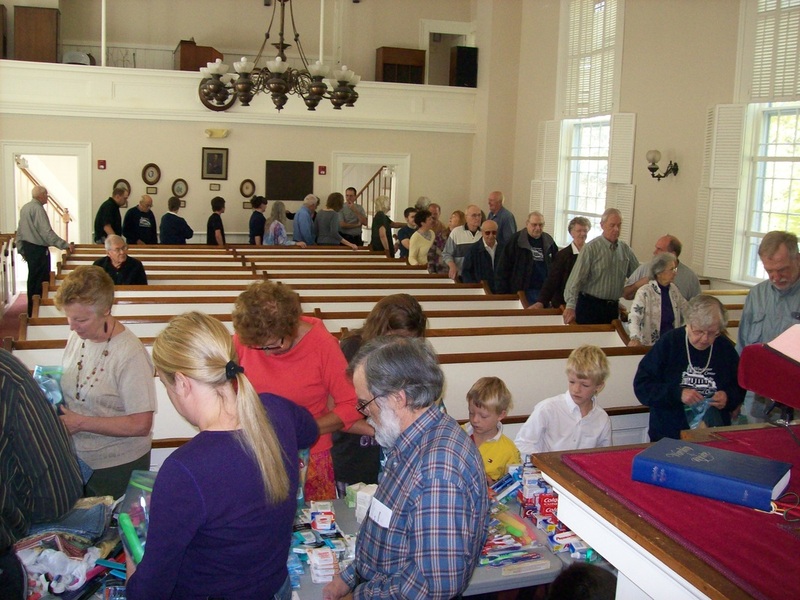 September 29, 2013 - Shelter service project (welcome bags) - Members of Winchester Congregational Church support their homeless neighbors currently residing at FISH/Friends in Service to Humanity of NW CT, located in Torrington, by creating an assembly line of toiletry products in "welcome bags" presented to the shelter. FISH residents were extremely grateful for this boost, and residents are quick to remind Deirdre, FISH Executive Director, to present a "welcome bag" upon the arrival of a newcomer. A real feel good!